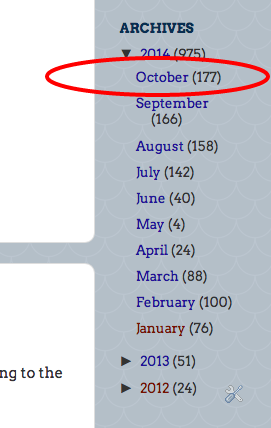 We knew things would pick up as we came close to Election Day here in Illinois, but with a day+ to go, the month of October 2014 is going to be our biggest month in terms of post volume. 177 posts. Wow. We wouldn't be doing this if it didn't matter so much. Voters have a big chance to make a big difference on Tuesday. Do your part. Vote for good candidates.